Here’s a look at the Las Vegas Real Estate Market for February 2018. According to a report released on February 13th by the Greater Las Vegas Association of REALTORS® (GLVAR), prices for homes are still up by greater than 11 percent from this time last year. What does this mean if you're buying a house in Las Vegas? What does this mean if you're selling a house in Las Vegas? January ended with a total of 3,204 condominiums, townhomes, and single family homes sold. The median price range of houses that sold in Las Vegas during the month of January was $265,000. This amount shows an increase of 11 percent from January 2017 but a decrease of 1.1 percent from the $267,900 of last month. Due to the 46,598 homes sold in 2017, Las Vegas saw the best year for sales since 2011. In fact, we closed 2017 as the third year with the best sales overall. The median price for a townhome or condo in Las Vegas for January was $149,888. The current median price range shows an increase of 32.1 percent from this time last year. At the end of January, there were 634 properties on the market without an offer. The current number of unsold condos shows a drop of 21.8 percent from January of 2017. At the end of the month, there were 3,718 single-family homes listed with no offer. Unfortunately, the low inventory trend continues with less than a 2 month supply of inventory on the market. In order for the market to be considered balanced, there needs to be a 6 month supply of inventory. One point of interest is that there are fewer distressed sales and short sales. In fact, only 4.3 percent of all homes sales in Las Vegas were short sales or foreclosures in January. This number is down from the 11 percent from this time last year. Experts predict that 2018 will be another top year when it comes to the real estate market in Las Vegas. January showed a slow down in rising home prices, but that’s to be expected this time of year. The dip in prices may be a positive sign for those who’ve been waiting to step into the home buying process. Set up a meeting with your real estate agent and move forward. You may catch a break before pricing start the upward move again. Cash sales made up 29.2 percent of all sales in the area. That’s a small decrease from the 29.8 percent from this time last year. Cash buyers are still showing that they are a force in the buyers market, but they aren’t as prominent as they were in 2013 when the number peaked at 59.5 percent. Keep the importance of setting the correct asking price in mind when selling your home. With the slow down in sales, it’s just as important to make sure you’re ready to hit the negotiations table. Meet with your real estate agent to discuss negotiation strategies. The good news is that homes are still selling quickly. The percentage of homes that sold within 60-days for the month of January is 76.8 percent, up from 71.4 percent last year. The percentage of condos that sold within 60-days for the month of January is 83.1 percent, up from 78.6 percent in 2017. 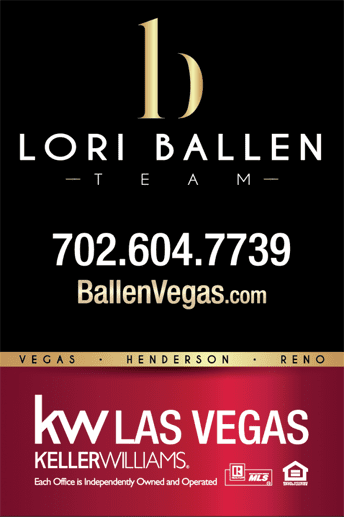 Here’s the most recent home listings just added to the database in the average price range for Las Vegas. All homes here are priced at $265,000 or less.